The holidays are upon us and the Yule Ball is just around the corner. 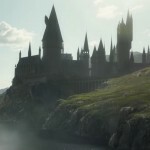 This week in the Potterverse we got an update on Universal Orlando’s new Wizarding World travel store Globus Mundi , that may have some mysterious connection to the Fantastic Beasts series, news that the Royal Mail has released Harry Potter collectible postage stamps and an announcement from J.K. Rowling that Fantastic Beasts 3 is complete and definitely headed to Brazil! This week in our Actor’s Round-Up, Daniel Radcliffe trades in his wand for an animated bowtie, a behind the scenes look at the Little Women cast, an insightful interview with Evanna Lynch, a teaser for the anxiously awaited Downton Abbey movie, more accolades roll in for Alfonso Cuarón ’s Roma, Miriam Margolyes stars in a Christmas special, Julie Walters voices the Queen in an upcoming film, Dan Fogler appears at his first Walking Dead fan convention, a trailer’s released for Hotel Mumbai with Jason Isaacs, and more! Daniel Radcliffe makes his return to the family friendly genre after a string of adult films since his days at Hogwarts. In the upcoming animated comedy Playmobil: The Movie based on the German toys and figurines by the same name, our favorite wizard trades in his wand for a bow tie as the “dashing and charismatic secret agent” Rex Dasher, according to EW who helps a character named Maria find her lost brother in the world of Playmobil. Take a look at the first teaser trailer for the movie below which comes out sometime in 2019. 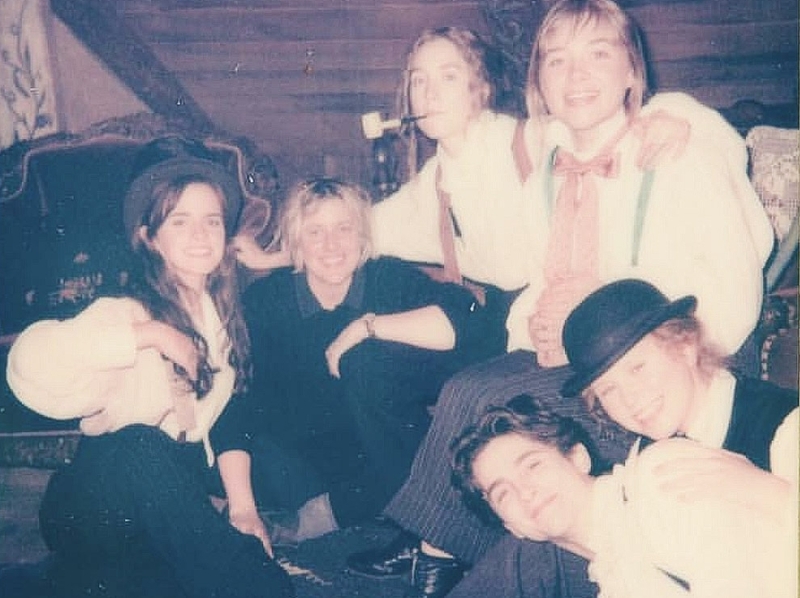 Emma Watson posted a candid look at the star-studded sisterhood on the set of next year’s highly anticipated big screen adaptation of Little Women from Oscar nominated director Greta Gerwig. Gerwig’s surrounded by the Marsh clan and companion Laurie played by Timothee Chalamet of Call Me By Your Name fame. Any post of Watson’s on social media is a treat for Harry Potter fans. We have no doubt Potterheads will be lined up on Christmas Day 2019 release to see her in Little Women. A sneak peek at the big screen adaptation of the wildly popular British period drama Downton Abbey starring Dame Maggie Smith, Harry Potter’s Professor McGonagall, as matriarch Violet Crawley Dowager Countess of Grantham, was released this week…sort of. No real look at the characters themselves, just some beautiful interior and exterior shots of Highclere Castle, the home and main filming location of the Downton Abbey series. As Leaky shared last fall, Maggie Smith will be joined by Harry Potter alum Imelda Staunton, who played her Ministerial pinkness Senior Undersecretary Dolores Umbridge, and whose role in this project is still being kept under wraps. Do you hope these witches are pals this time around or are you hoping for another sassy showdown between the two? Take a look at the teaser for the Downton Abbey film which opens in theaters September 20, 2019. Hopefully we’ll see a full fledged trailer soon! More award season accolades for the Wizarding World cast and creative! After being nominated last week for three Golden Globes for his semi-autobiographical film Roma, in addition to numerous festival and critics wins this awards season, Alfonso Cuarón, director of Harry Potter and the Prisoner of Azkaban, earns eight nominations from the Critic’s Choice Awards this week. The BBC spy drama Killing Eve with Harry Potter’s Aunt Petunia continues to be recognized and earns a Best TV Drama nomination from Critic’s Choice, as well as Best Ensemble Performance in a Drama from the SAG Awards. Deathly Hallows composer Alexandre Desplat adds another nomination to his Golden Globes nod for the score of the animated sci-fi comedy Isle of Dogs and Emmy winner Darren Criss, co-founder of Starkid Productions, creators of the Harry Potter parody A Very Potter Musical, earns two more Best Actor in a Limited Series nominations for his role as serial killer Andrew Cunanan in FX’s The Assassination of Gianni Versace: American Crime Story from Critic Choice and SAG. Congratulations again to all the nominees! The winners of this year’s Critic Choice Awards will be announced at a ceremony on January 11 aired on the CW Network. SAG Award winners will be announced on January 27 on TNT/TBS. Margolyes joins series regular Victoria Yeates, who is ending her tenure as Sister Winifred, and made her Wizarding World debut with the release of Crimes of Grindelwald last month as Newt Scamander’s assistant Bunty. 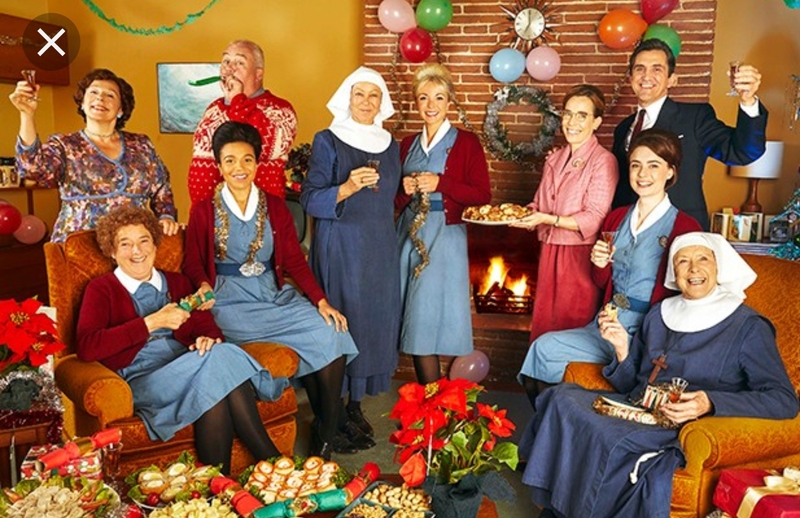 The Call the Midwife Christmas Special airs December 25 at 7:45p on BBC One. A magical mum is getting ready to play a royal matriarch when Dame Julie Walters, Harry Potter’s Molly Weasley lends her voice as her Royal Highness in the upcoming animated comedy The Queen’s Corgis. Take a look at the trailer for the film below which opens in the UK February 19. Fantastic Beasts young Dumbledore Jude Law recently had another premiere in the musical drama Vox Lux starring Oscar winner Natalie Portman who plays a musical prodigy and pop star mounting a comeback after years of emotional struggle. Take a look at the clip below of Law who plays her manager in the film. He sounds like a true New Yorker to us! Vox Lux is in theaters now. As reported by Leaky last month Fantastic Beasts star Eddie Redmayne was in negotiations to play the role of political activist Tom Hayden, in the upcoming biopic Trial of the Chicago 7 from acclaimed director Aaron Sorkin. According to Variety the film is being put on hold while Sorkin focuses on his latest endeavor, To Kill a Mockingbird on Broadway which premieres this week. Disappointing news for Wizarding World fans who love to see the Harry Potter and Fantastic Beasts actors in other projects but we’ll keep you posted! Jason Isaacs, who Potter fans typically recognize as the Death Eater with long platinum locks and jeweled cane, appears to play at least a semi-baddie,Vasili a wealthy, hedonistic Russian in the upcoming thriller Hotel Mumbai based on the 2009 documentary Surviving Mumbai about the Mumbai attacks in 2008 at the Taj Mahal Palace Hotel in India. You can get a quick glimpse of Isaacs in the trailer for the film below which premiered at the Toronto Film Festival in September and is scheduled for release in theaters March 14, 2019. “Dead of the Night” is set at Rhodes Manor, a palatial estate in the English countryside, in the year 1912. Dozens of friends and enemies of relic-hunter Alistair Rhodes have been invited for a party. But it turns out the entire affair is actually a trap. A secret society of mystics unleash a spell that transforms all but four of the guests into zombies. As “Dead of the Night” progresses, these characters go from strangers to a tight-knit team, seeking clues and performing tasks they hope will bring this nightmare to an end. If she can handle Dementors Bonham Carter won’t have any trouble with zombies. Take a listen towards the end of the trailer below for her new role in the update which was released earlier this week. David Tennant of Doctor Who fame, but who’s know in the Potterverse as Death Eater Barty Crouch, Jr. (maybe we should call this a Death Eater round-up) attended the premiere earlier this week of the new historical drama Mary Queen of Scots starring 2017 Oscar nominees Saoirse Ronan and Margot Robbie. Tennant who portrays the founder of the Presbyterian Church John Knox gave a red carpet interview to HeyUGuys about the story, his character and being a “thorn in Mary’s side” as the leader of the rebellion against her. Take a look at the full interview below with David Tennant which begins at minute 9:45. Mary Queen of Scots was released in the US December 7 and opens in the UK January 18, 2019. Carmen Ejogo, who briefly reprised her role as MACUSA President Seraphina Picquery in Crimes of Grindelwald, stars in the soon to be released third season of HBO’s critically acclaimed crime drama True Detective. Ejogo plays Amelia Reardon, an Arkansas schoolteacher with a connection to two missing children whose disappearance is being investigated. Take a look at the newest trailer for the anthology below which highlights Ejogo’s character Reardon’s relationship with the story’s protagonist, detective Wayne Hays. Season 3 of True Detective will premiere on HBO January 13, 2019. 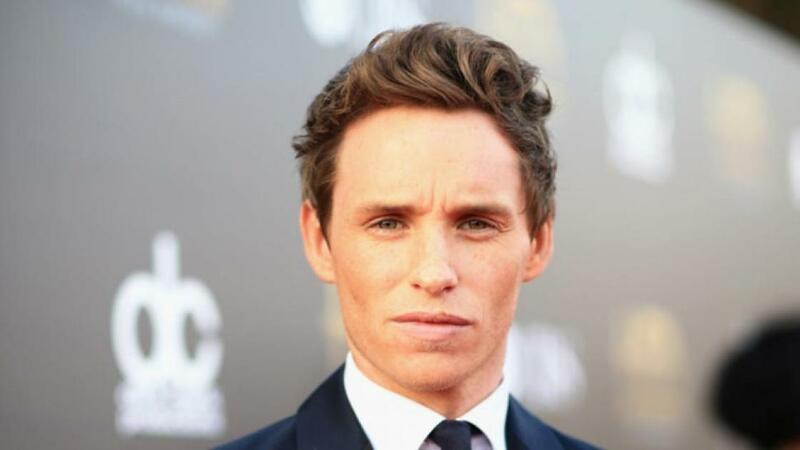 That’s all the Harry Potter and Fantastic Beasts actor news for this week. That was definitely a lot of Death Eaters in one place! Join us again soon for our next Actor’s Round-Up and in the meantime take a look at our latest Theater Round-Up to see what the Wizarding World actors have been doing on stage! Happy Holidays!